Earth-2 would be the best place since sliced bread if bread were a place. As it stands, Earth-2 is just the best. 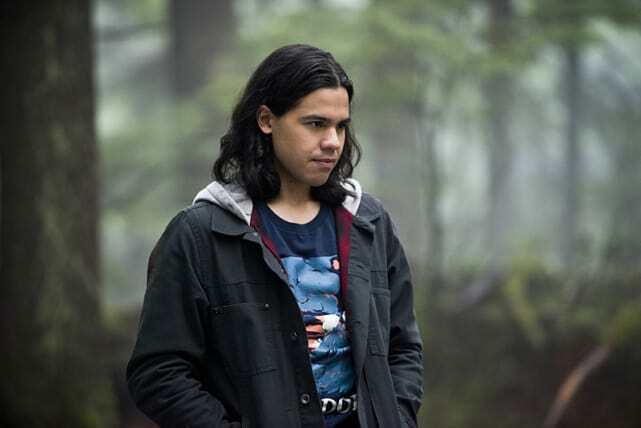 We'll be back there on The Flash Season 2 Episode 14 as Cisco and Harry enlist E-2's Iris, Barry and Killer Frost (?!?) 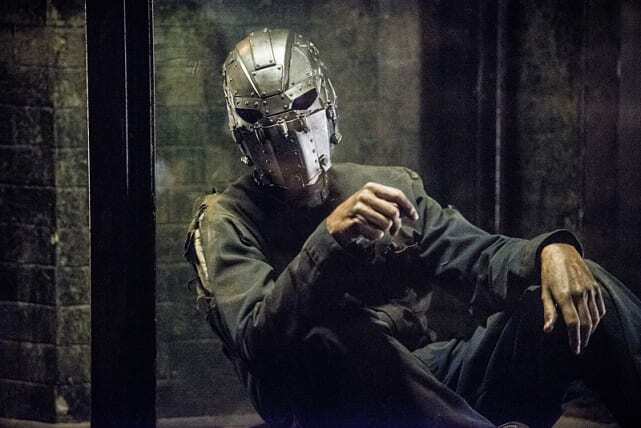 to help them infiltrate Zoom's lair to wrench Barry and Jesse from his grasp. Will things go smoothly? Who is the other masked man lying in wait inside the lair? Scroll through the photos and be with us on Tuesday for a full review of the installment! Jesse Wells has been caged for a long time. 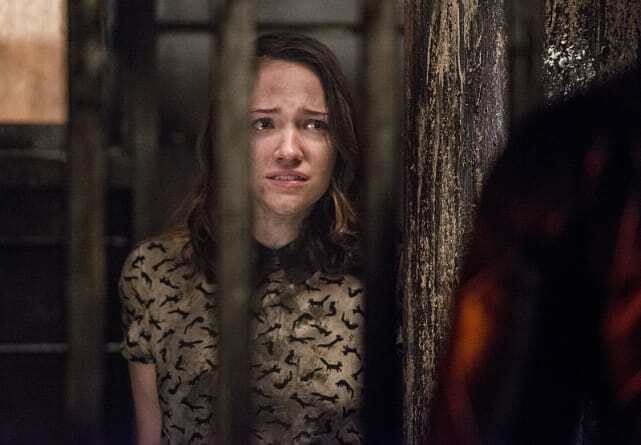 Will she finally be saved when the team comes for Barry. Surely she won't be an afterthought. Alright, Barry isn't exactly coming to the rescue of anyone since he's also been captured by Zoom. But eventually he'll be heroic. That's his gig! The Man in the Iron Mask. This looks suspiciously like Earth-2's Wally West. Who's with me?! WHY is he wearing an iron mask, and does E-2 Iris know he exists? More importantly, will we get to follow their story over time??? 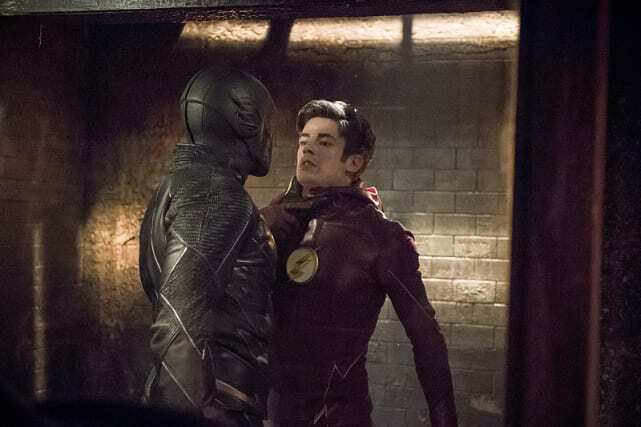 Zoom gets a little bit too close to Barry for his comfort, and Barry backs away like any self respecting fellow would do in his position. After all, he has no idea who this Zoom even is at this point. Introduce yourself first, Mister, then get handsy! 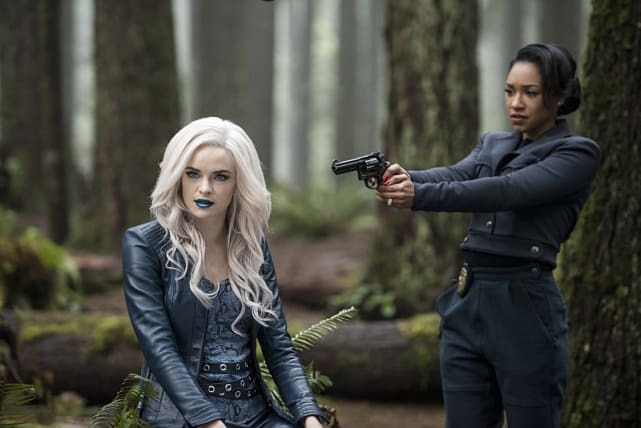 Earth-2's Iris is getting a little trigger happy on Killer Frost, who we THINK is just trying to help out. Maybe she was trying to make a sudden move with those cold hands of hers. At least when she throws her icy waves, people freeze in her wake! It is with the utmost sadness that we look upon this Cisco, knowing there is only this one Cisco left upon Earth-2. Is there no justice on any world?! 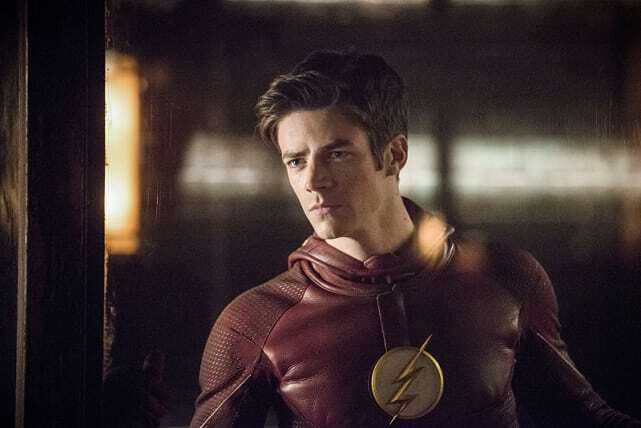 The Flash Preview Photos: Zoom Gets Handsy with Barry!